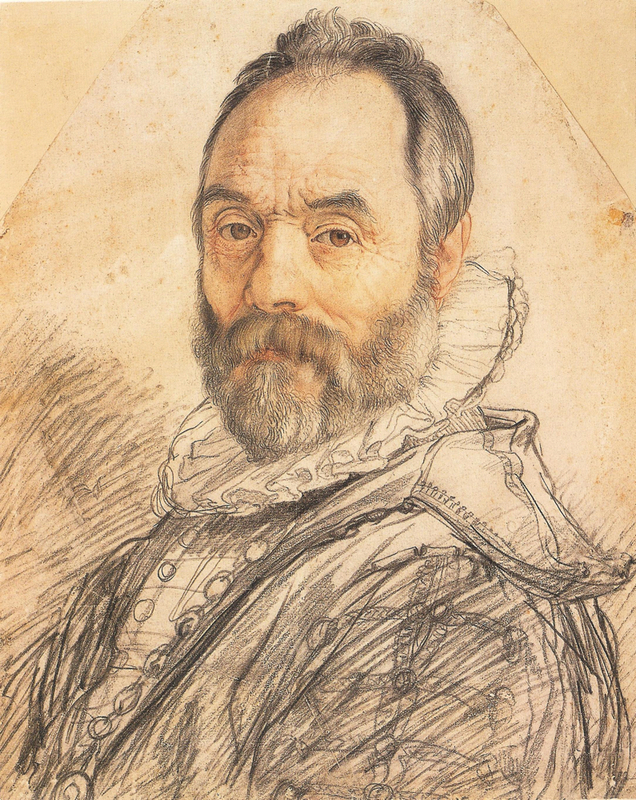 Hendrik Goltzius (1558-1617) was a superb portraitist whose ability to convey the actual presence of a sitter so overpowers our visual perception that even many experts on art take them for likenesses. Illusion and likeness, though, are not the same. Illusion convinces us that the scene took place as though we were there. Likeness allows us to recognize an actual sitter so we can say with confidence: "This was what the person looked like." 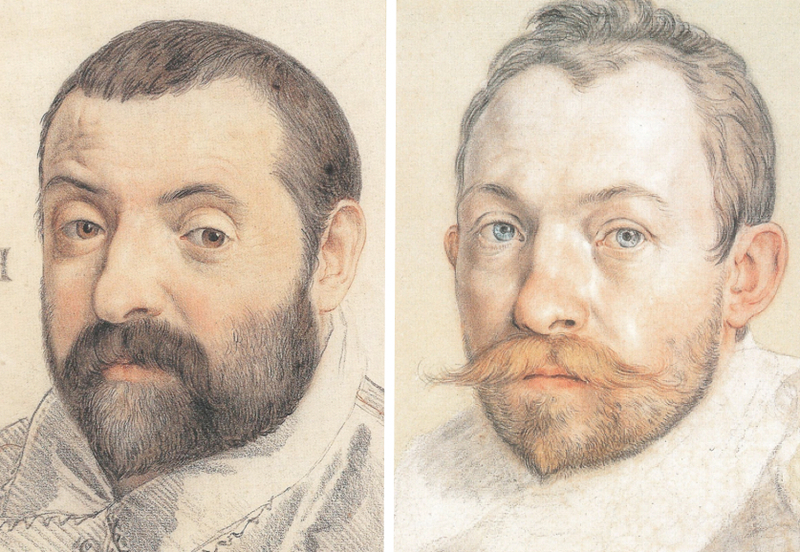 Recognition of likeness, however, is rarely possible for Old Master portraits. 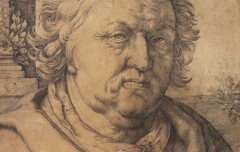 The portrait in question is often the only representation of the sitter we have. 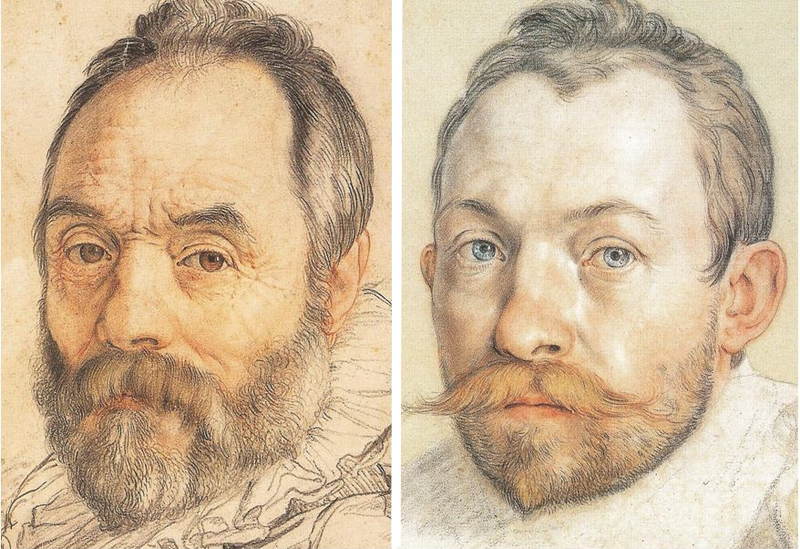 Now compare Goltzius' Palma Giovane to Goltzius’ own self-portrait possibly drawn the same year. 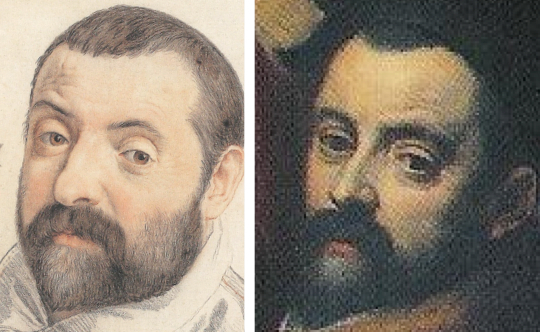 See how they share that same bulbous nose and nostril, the same raised eyebrows and a similar beard. 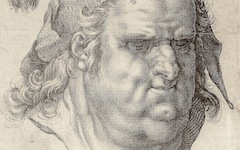 The very features not seen in Palma's self-portrait appear in Goltzius'. Illusion has been taken for likeness. The truth is that Goltzius' Giambologna has taken on so many features of Goltzius that it cannot be an accurate likeness of Giambologna. 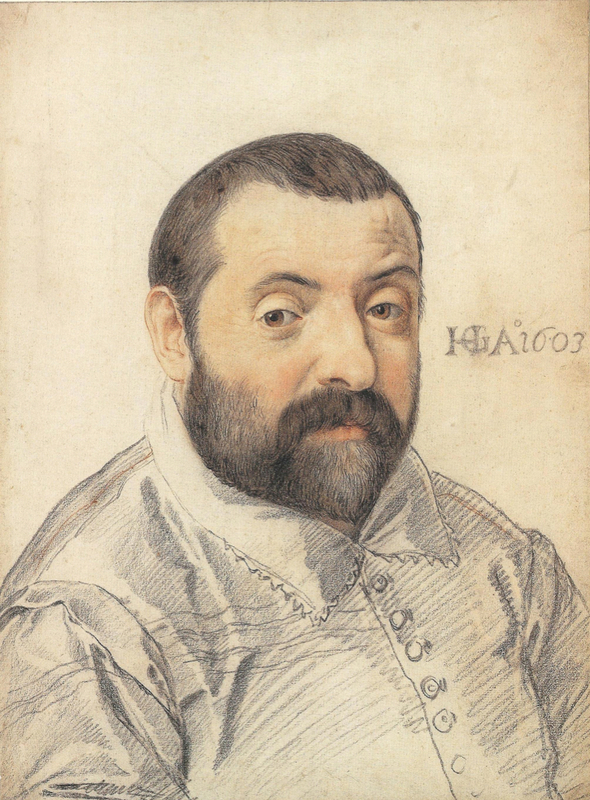 It is instead a portrait of Goltzius as Giambologna, one great master identitifying with another. 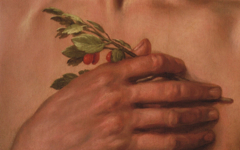 All artists descend from earlier artists, using similar forms century after century. “No man is an island” wrote the poet John Donne a few years later (1623). We are all, intellectually and physically, part of a tradition. Indeed we are, when all is said and done, One. That unity with all is a central feature of Wisdom in the mystery traditions of all religions, Christianity included. Art too. Original Publication Date on EPPH: 07 Aug 2011. © Simon Abrahams. Articles on this site are the copyright of Simon Abrahams. To use copyrighted material in print or other media for purposes beyond 'fair use', you must obtain permission from the copyright owner. Websites may link to this page without permission (please do) but may not reproduce the material on their own site without crediting Simon Abrahams and EPPH.